Thinking about purchasing an at-home microdermabrasion kit? Here’s what you need to know before you scrub away. Take a look at any celebrities and you’ll find perfectly glowing, youthful skin-no matter what their age. How do they do it? Well most are lucky enough to be able to treat themselves to regular skin-care treatments, and microdermabrasion is one of the most popular techniques. It’s thorough enough to remove layers of the skin, yet gentle enough to involve no downtime afterwards. With Neutrogena spokesmodel Kelly Preston singing the praises of at home kits, they certainly seem worth a try. But first, follow our list of dos and don’ts for these DIY kits so you’re not left red in the face. A ‘lite’ version of the more extreme dermabrasion, microdermabrasion sloughs off dead skin cells on your face by using a polishing system of cream and microsized scrubbers (diamonds and crystals). Used in a circular motion, the micro-scrubbers buff away the dead cells, revealing new, younger looking skin and giving a rosy glow. Celebs such as Dita von Tesse (who has said she loves the way it makes her “skin look and feel afterwards”), Madonna and Gwyneth Paltrow use it for their famously flawless faces. What are the pluses and minuses of an at-home kit versus a professional treatment? A dermatologist’s office or a specialist spa will be able to give you a more customized treatment, whereas an at-home kit purchased at the drugstore or the beauty counter isn’t tailored to a specific skin type. Also, microdermabrasion at a dermatologist’s office can give you something a DIY kit can’t-suction. 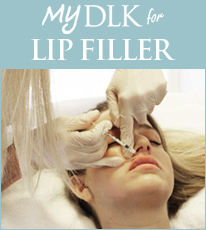 “This is a key difference,” explains Dr. Lisa Kellett of DLK on Avenue Dermatology in Toronto. “The suction will lift the dead skin away after it has been buffed. This results in cleaner, fresher skin, whereas with an at-home kit, the dead skin is buffed away, but not completely removed.” That said, there are some decent at-home offerings available. Use a mild, soothing cleanser, such as Cetaphil or Spectro Jel. A gentle cleanser will bring moisture back into the skin and leave a cooling effect to help distressed skin. Also use an oil-free, cooling moisturizer to help calm irritated skin. Visit a dermatologist. They can offer some soothing treatments (and medication if needed) in-office and help you understand why your skin has reacted the way it has. Don’t use the microdermabrasion kit again and stay clear of exfoliating until the skin condition improves. Know your skin. Dr. Lisa Kellett of DLK on Avenue Dermatology recommends seeing a dermatologist before purchasing an at-home kit from the cosmetics counter. Use a good cleanser after exfoliating. “If you have oily skin, try one with salicylic acid,” suggests Dr. Paul Cohen of the Rosedale Dermatology Centre in Toronto. Don’t forget to use one that won’t clog your newly cleaned pores. Follow up with sunscreen. “You are exposing new skin that could be extra-sensitive to sun damage,” warns Cohen. View the at-home treatments as upkeep and not the same as a visit to a specialist. “It’s really like a good exfoliation system,” says Kellett. Splurge. “Cheap usually isn’t better,” recommends Kellett. “It’s like comparing a Toyota with a BMW. So when choosing an at-home kit, you want the best quality for that type of product. Get over-zealous. Scrubbing to try to get rid of acne of dull skin could really leave you red in the face. “You can strip your skin of its natural oils,” says Cohen. Scrub vigorously. “You can leave your skin irritated, red, dry and blotchy,” explains Kellett. Seeing a dermatologist and discussing how often you should be using it will help keep you glowing. Use it if you have underlying skin issues before consulting a professional. Again, you could be making the issue worse, not helping it. Replace your trips to the dermatologist with the at-home kits. “Think of it more as a way to maintain your glow from the derm’s office until your next visit,” suggests Kellett. Use in conjunction with strong acne medications. “These medications and acne treatments tend to already exfoliate the skin,” explains Cohen. “So this could overdo it.